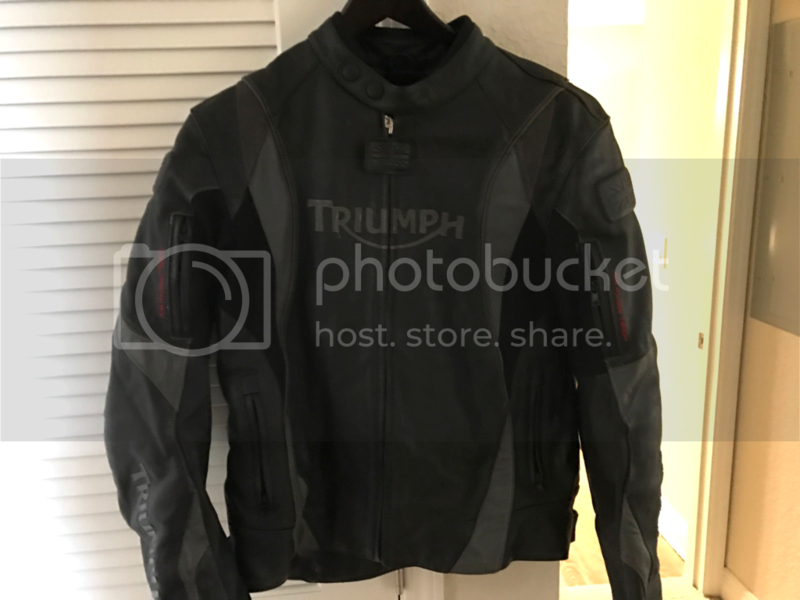 Thread: Anyone own this Triumph leather jacket ? Anyone own this jacket or has owned one in the past ? Theres a good deal on fleabay for one. Just wanted to get impressions from anyone who has one, like , dislike? "Everybody has a plan , till they get hit in the mouth"
I have never owned one but it does look dashing . I think you would look great in it , so you should buy it . Are they a Triumph badged AGV Sport jacket? Actually just scored this jacket off ebay for $170 !!!! Make sure you post photos of you modelling it in your yellow g string. no, i don't have this jacket instead, i am using the jacket which I got from the ski bum Coupons. The jacket is too stylish, snug and comfy to wear. I like to wear it all the time.